Their south Ottawa apartment so overrun by rats that bylaw officers refuse to enter, Crystal Tully and her two young children have found temporary shelter in a 250-square-foot motel room paid for by the city. Their south Ottawa apartment so overrun by rats that bylaw officers refuse to enter, Crystal Tully and her two young children have now found temporary shelter in a 250-square-foot motel room paid for by the city. The family fled their home in Greely on Oct. 3, after a pest control expert confirmed the dwelling had become a health hazard, and shouldn't be entered without a respirator. 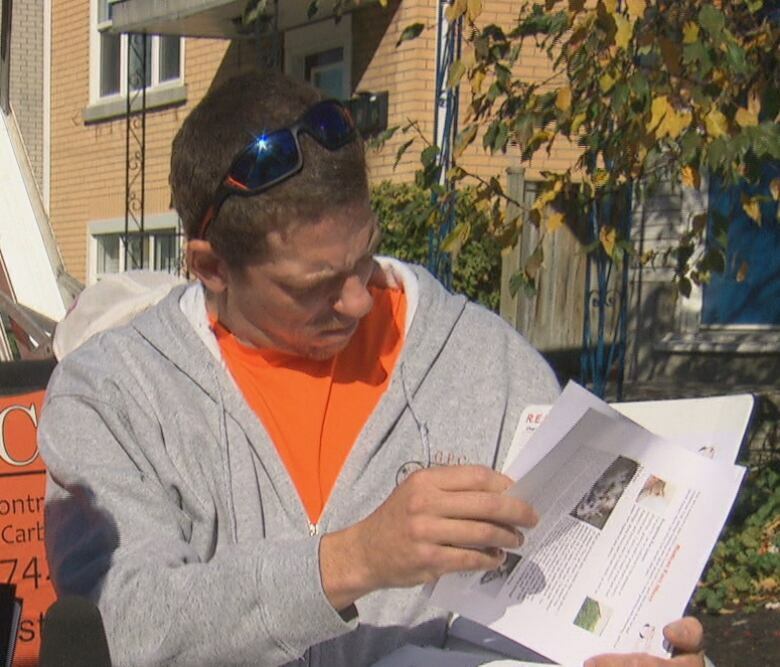 "Every surface had been covered with rat feces and urine," said Garry Carbonnell​, who volunteered his services after seeing a CBC story about Tully's plight. "This is one of the worst situations I've ever seen." 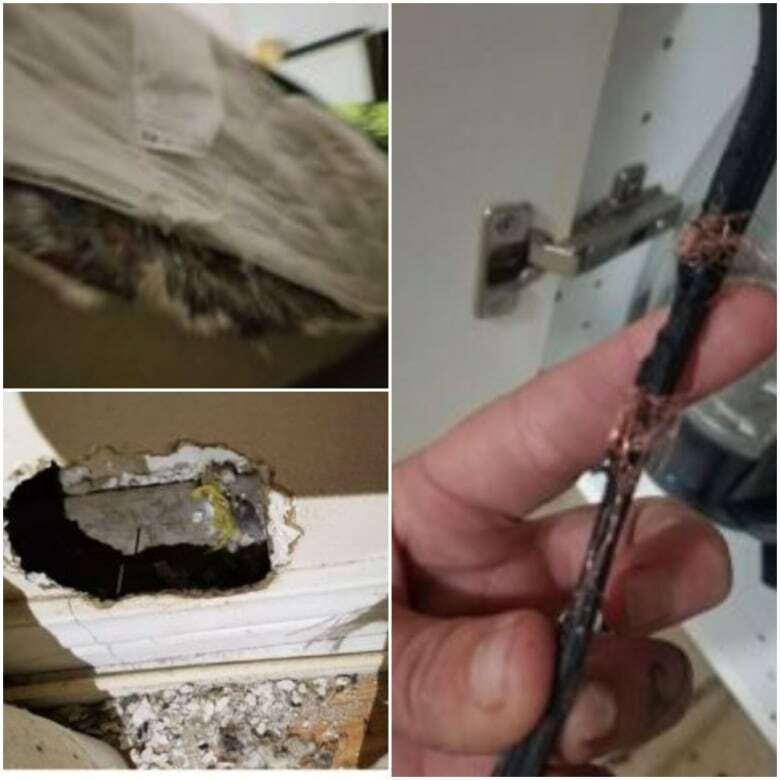 Carbonnell said the rodents had burrowed into every wall and chewed wires, creating a fire hazard in addition to the health hazard. "I advised her to find somewhere to go immediately. This was well beyond a couple of rats." "That scared me, because I thought, Oh my God, we've been living in this and breathing this in," said Tully, who'd been living in the apartment for 10 months with her children, 7 and 9. "We've been sick non-stop. Is that why? Was I making my family sick because I didn't know?" Following Carbonnell's warning, Tully obtained a letter from nurse-practitioner Tawnya Shimizu. "Given the exposure to mould and rat feces there is the possibility that these have gravely affected her health," Shimizu wrote. "[The family] requires immediate safe and appropriate housing." Armed with the exterminator's report and Shimizu's letter, Tully went to Housing Help. The housing agency helped her secure a room, paid for by the city, in a motel serving as overflow accommodation for families in Ottawa's shelter system. Tully wasn't allowed to bring any of her belongings to the motel over contamination fears. Everything they now own, including clothing and toys, has been donated by friends and strangers. Tully's now waiting for one of the city's subsidized housing units — a wait that could take up to two years. The city's bylaw department conducted an initial inspection of the apartment Sept. 12, and ordered the landlord to fix the rat problem. At the time, the department did nothing to address the health risks that Carbonnell later flagged. The city has now ordered the landlord to undertake an air quality test before its officers will be allowed back into the apartment to continue the investigation. The property owner, Luciano Annibalini, did not respond to CBC's requests for an interview in time for publication. The city's director of bylaw and regulatory services, Roger Chapman, said property standards officers "do not make the determination as to whether or not a building is habitable." Instead, he said, the protocol requires an expert be called in to make that decision. The city has not explained why that wasn't done in Tully's case. Tully and her children now join an estimated 200 families living in motel rooms as part of Ottawa's shelter overflow system. That number doubled between 2016 and 2017 — and so has the cost of the system. "It's a shocking number," said Shea Kiely, executive director of Housing Help. "But there's nowhere to put people, and we keep getting more and more coming that need housing." Most of the motel families are among more than 10,000 waiting on a city list for subsidized housing. Kiely said Tully's sudden path to homelessness highlights the dwindling options for families on limited incomes. Tully said the motel room gave her a place to escape to, but it's no long-term fix. There's no kitchen, so she washes dishes in the bathroom sink. But at least it's clean and safe, and her children won't wake up to rats in their bedroom. "I haven't seen them this happy in quite a while," Tully said. Still, the trauma endures, especially for her 9-year-old daughter. "You'll hear a neighbour will turn on the tap and you'll hear a squeak, and she loses it. Loses it. Won't get off the bed. She's scared, and I tell her, 'We're not there, it's OK, you know they're not here. You don't have to worry about it anymore.'"